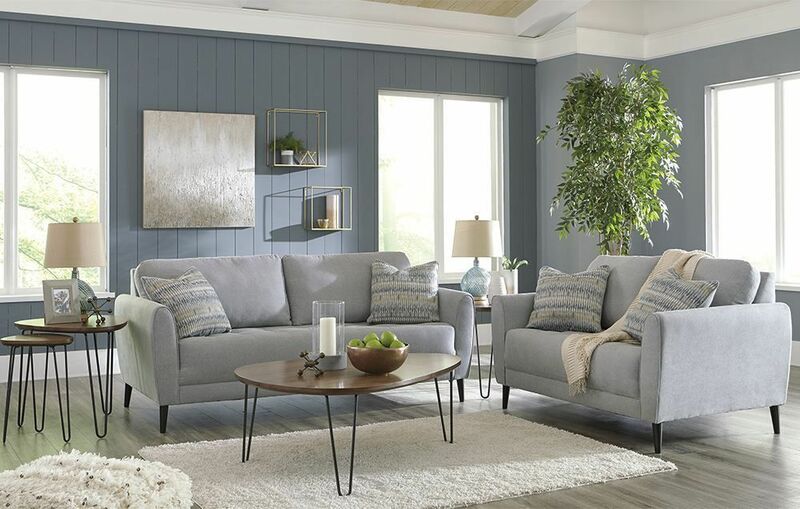 Bring a fresh, contemporary ambiance into your living room with the Cardello Pewter Loveseat. Wrapped in 95% polyester, this piece's neutral color allows it to blend in with virtually any existing design themes. 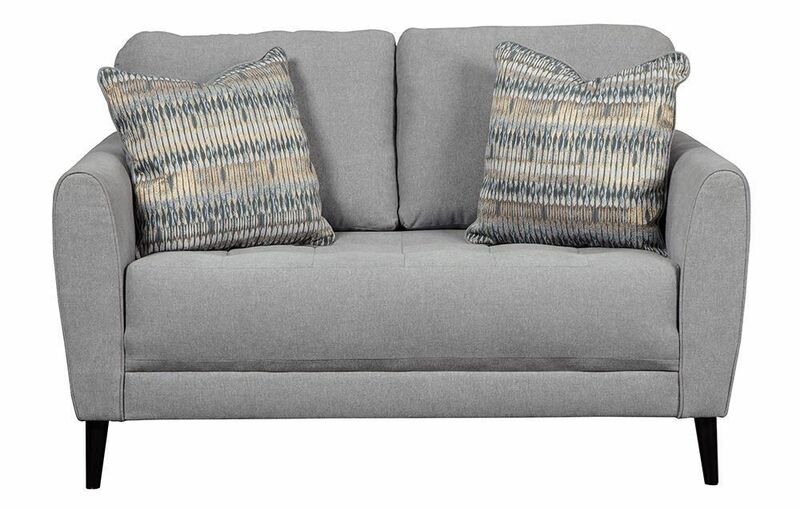 The black legs and patterned pillows provide for a lovely, eye-pleasing contrast to complete the look. Sprawl out on the comfortable cushions (constructed of low melt fiber wrapped over high quality foam) and soak in the blissful coziness. Is this look 100% you? 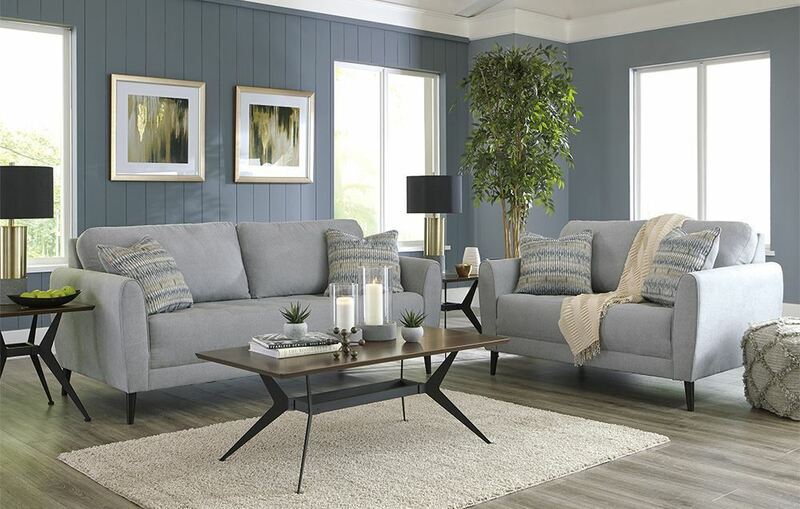 Be sure to browse through the rest of the Cardello Collection for the coordinating furnishings. All pieces are sold separately, allowing you the freedom to only bring home the ones you please. 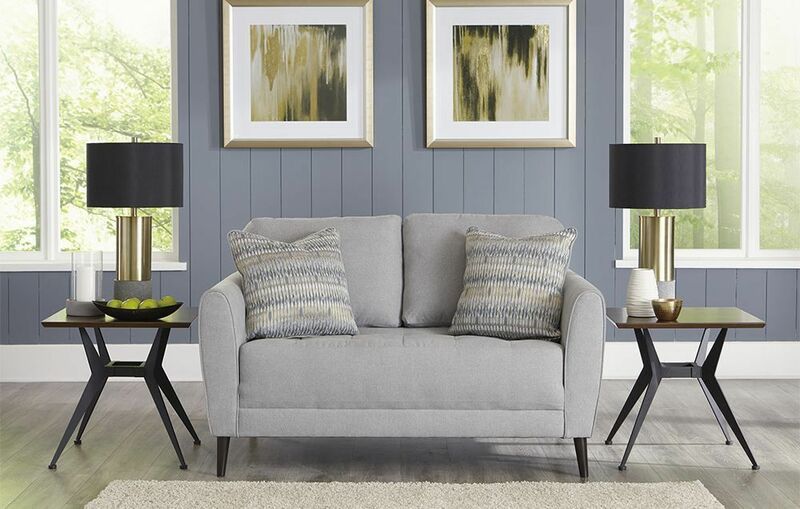 Bring a fresh, contemporary ambiance into your living room with the Cardello Pewter Loveseat. Wrapped in 95% polyester, this piece's neutral color allows it to blend in with virtually any existing design themes.